A few of the maritime accidents of the world caught on video. Owners of the world's largest superyachts are not exactly short of cash, which is lucky, because finding somewhere to "park" them can be a costly endeavour. Although you've paid out tens of millions of dollars for your very own floating five-star hotel, a trip to Monaco or St. Tropez will still cost you thousands of dollars a night. In fact, a recent survey recorded the cost of keeping your superyacht moored in some of the world's most desirable marinas; and here are the top ten most expensive, along with my thoughts on each! By the way, these prices are for visitors on short stays, if you were going to hire a berth for year-round storage the cost would be considerably less (a marina where it cost EUR 2,000 a day for a peak-season superyacht visitor, might work out at only EUR 100,000 a year for an annual berth - an effective rate of EUR 270 a day!). Thoughts: Capri, a small, rugged island off the coast of Naples has been a luxury retreat since Roman times. Today, its compact size and steep terrain, which restrict building and expansion, allow it to maintain an air of super-luxury. In the summer it is one of the world's top locations for celeb-spotting as many of the Hollywood A-list visit annually. 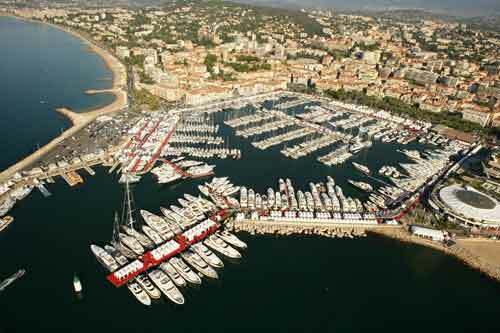 The harbour, being small and only having enough room for around ten large yachts, is now recognised as being the most expensive in the world. Thoughts: A large, modern, high-technology port in a picturesque Italian town on the North Coast of the Italian island of Sardinia. 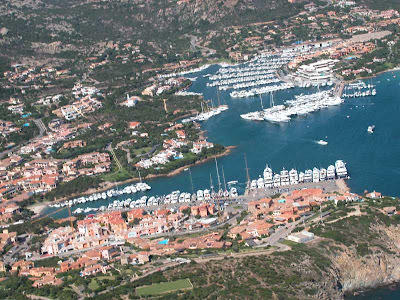 The Costa Smeralda Marina at Porto Cervo has a large, well-renowned yacht club and ship-repair yard, meaning it has all the facilities and space you would find in a blank-canvas, Middle-East marina, but with the old-world European charm as well. As a result, the area attracts some of the world's largest superyachts. 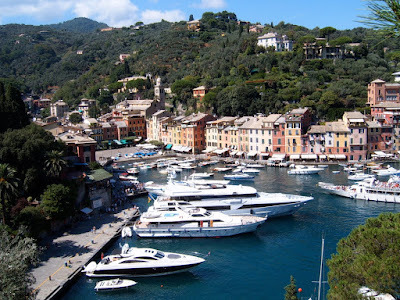 Thoughts: Portofino is almost the exact opposite of Porto Cervo (listed above). 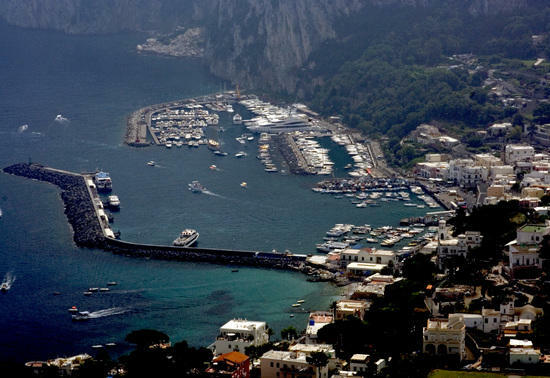 It is on the Italian mainland, it has relatively few facilities and the fewest spaces for large yachts of any port on this list (just six! ), but its charm comes from this seclusion. The small fishing village has no airport and only one access by road, which is closed for much of the year. It became popular as a secluded get-away for British Aristocrats and European millionaires, who built large mansions in the surrounding area; today, its relative inaccessibility by any means other than boat, means that it remains a favourite destination for the superyacht elite. 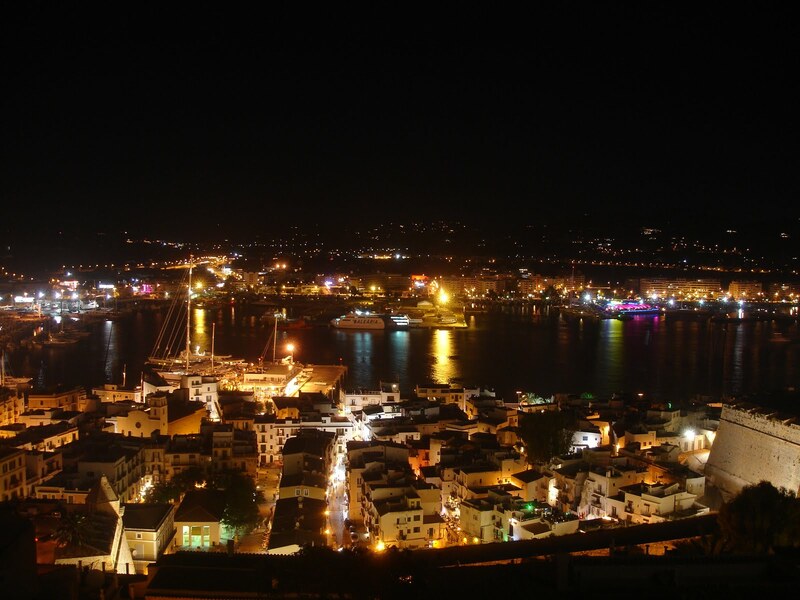 Thoughts: Ibiza is arguably the world's top party town, and for any younger superyacht owner in the mood to celebrate where better than the uber-luxurious Ibiza Magna Marina, right beside the Island's biggest casinos, nightclubs and bars. The marina is not particularly large, but has very modern facilities and visitors have the knowledge that they can sail in at any time of night or day and join in a 24/7 party culture keeps demand for berths well above supply, and the price resultantly high. Thoughts: Far and away the No. 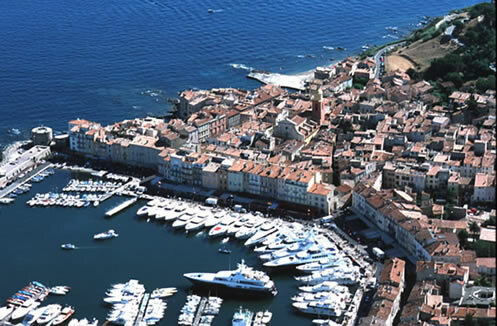 1 superyacht destination in France, St. Tropez lies at the heart of the French Riviera, and is the place in France to show off your megayacht. It has some old-world charm with its winding streets and a smattering of traditional shops, but it is now very much a millionaires' playground, with five star hotels, Michelin-starred restaurants and shops selling diamond-encrusted Rolex watches. Thoughts: Monaco is somewhat of a different beast to the other European ports and marinas listed above. It tends to be somewhere where the super wealthy actually live, rather than merely visit. There is no income tax in Monaco. So, if you have a multi-million pound business somewhere in the world and are paying, say, 40% tax on the income you receive from that business, what you do is move to Monaco; then you pay no tax on it. As a result, almost 85% of the population of Monaco are high-net worth foreigners. For this reason, despite the enormous concentration of wealth, there is less need for berths or moorings as the superwealthy in the area are generally staying in their own houses, rather than boats. There are, of course, still super-wealthy visitors, especially during events like the Monaco Grand Prix, and these people ensure the main Port still commands a place in the top-ten. 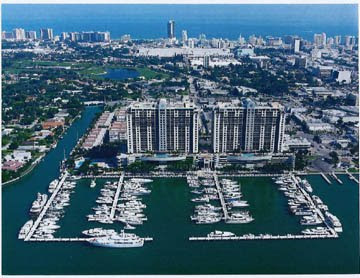 Thoughts: Miami Beach, the No.1 Marina in the US and gloriously American; it's huge (room for almost 500 yachts), super-modern, ultra-luxurious and fully functional 24/7. Almost everything you could ever want is provided at the Marina (including an Olympic sized swimming pool) and anything that is not available on site can be arranged for you by the on-site concierge. Of course there is also the draw of the international-entertainment capital of Miami itself. Thoughts: Like St.Tropez, Cannes is a top destination for the welathy yacht-owner visiting the French Riviera. The port itself is one of the largest in Europe, with over 2,000 berths. Prices fluctuate throughout the year, but thanks to world-wide attention during events like the Film Festival and various economic and commercial conferences some of the larger berths have been known to have a pre-booking period of over one year in advance. 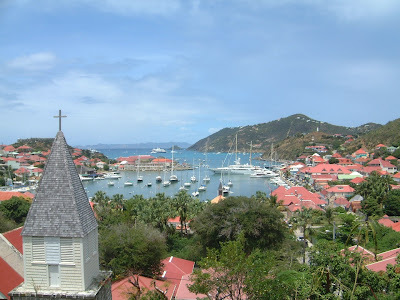 Thoughts: A relatively small but very busy marina in the Capital of St Barts, a French Caribbean island which is dotted with high-end boutiques, luxury hotels and private villas for visiting millionaire boat-owners to rent. The island has a population of less than 3,000 and is renowned as a secluded playground for the rich and famous. During the high seasons, like mid-summer or at Christmas and New Year it is near impossible to find any available space in the marina. Thoughts: The Yas Marina is quintessential 'Abu Dhabi'. 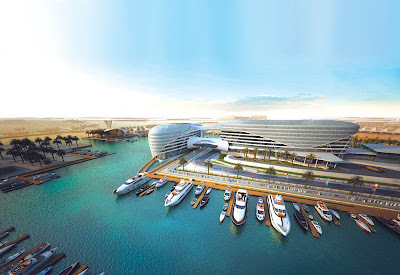 It is a showcase of the wealth of the Middle East, growing from nothing on a man-made island, into one of the world's most luxurious marinas; surrounded by newly-built skyscrapers, water parks, 5 star hotels and the Abu Dhabi Formula 1 Race Track. The marina and island on which it stands are still in their nascent stages, but with USD 36 Billion being spent on them it is perhaps no surprise that they will be looking for a reasonable daily contribution from visiting superyacht owners. * This is average fee, per day, for mooring a superyacht based on information provided by a recent 'Wealth Bulletin' Survey.